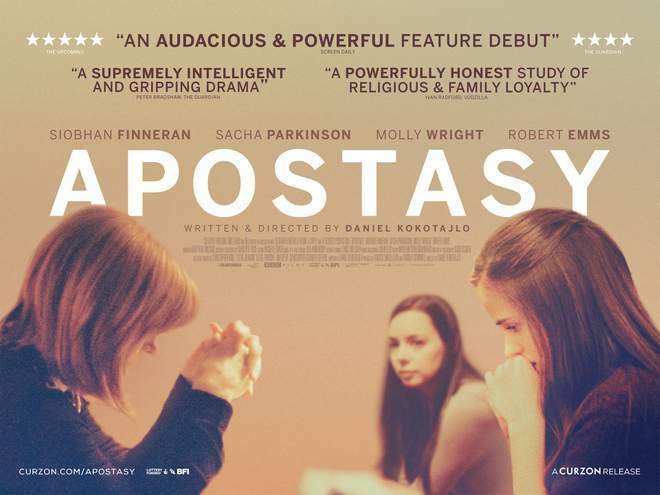 Written and directed by Daniel Kokotajlo, a former Jehovah’s Witness, APOSTASY is a remarkable and authentic debut film, providing rare insight into the complex nature of faith, family, duty and love. The film was developed and produced through Creative England’s iFeatures with the support of BBC Films and the BFI (with National Lottery funding), in association with Oldgarth Media. iFeatures, the UK’s award-winning, low-budget film-making lab, launched THE LEVELLING and LADY MACBETH, two of 2016’s hottest titles, at last year’s Toronto International Film Festival.